The Obermeyer mens ski jacket has been a fixture in outdoor and winter sports for almost 70 years. The brand has been so influential, in fact, that its founder, Klaus Obermeyer, was inducted into the U.S. National Ski and Snowboard Hall of Fame in 1997. Obermeyer has been responsible for many innovations that have helped push outdoor winter sportswear to the elite level it enjoys currently. The company has had a hand in inventing the first quilted down parka, the first mirrored ski sunglasses, the dual-layered ski boot that is now the standard in modern skiing, and even the first turtleneck with an elasticized collar. In 2018, Obermeyer continues to innovate and stay ahead of the curve in a growing market of ski, snowboard and winter sports equipment. 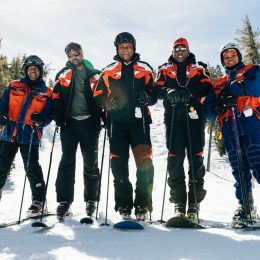 Since their single best-known product is the ski/snowboard jacket, we decided to take a look at the six top Obermeyer Mens Ski Jackets, evaluating their comfort, styling, and features in time for the 2019 winter sports season. 1. What Is an Obermeyer Mens Ski Jacket? 2. What Does the Obermeyer Ski Jacket Line Do That Others Don’t? Obermeyer has always been all about developing materials that can withstand extreme cold and other conditions. 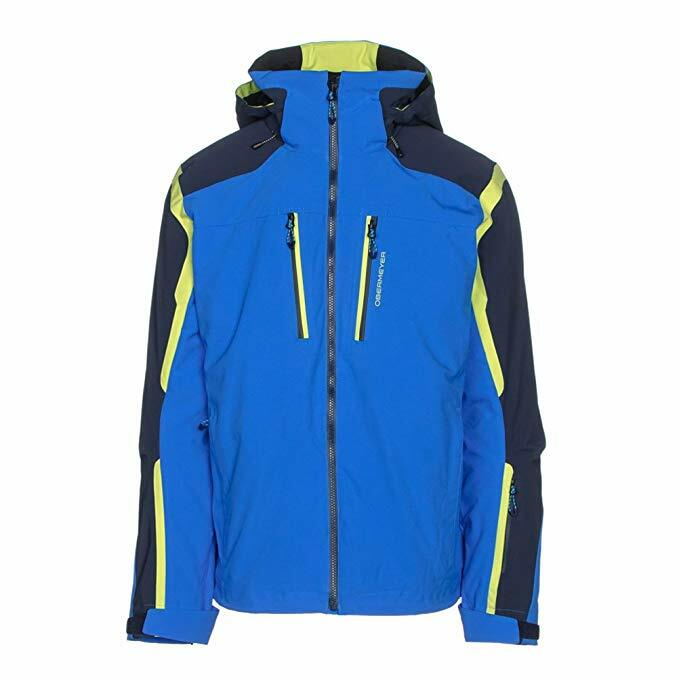 The six ski jackets on our "best of" list all have Hydroblock technology in their outer shells to withstand water and cold. 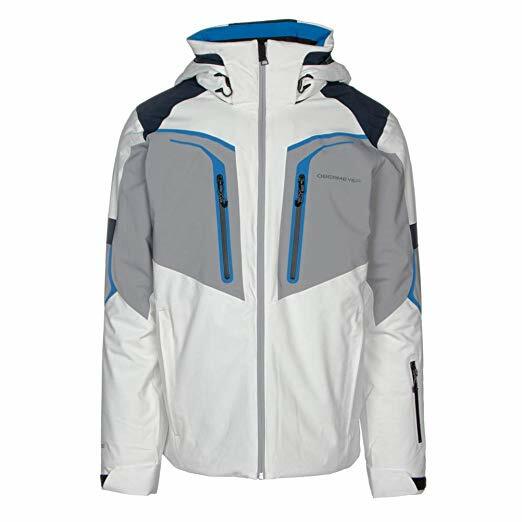 Obermeyer ski jackets also known for being lightweight given the amount of insulation and protection they provide, and they offer a flexible fit for the best range of movement during elite winter sports. 3. 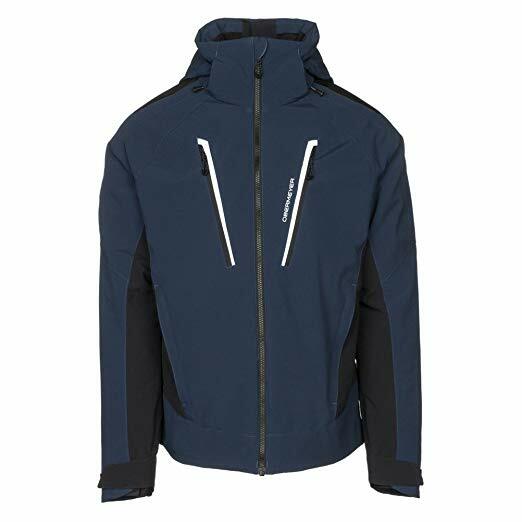 How Does the Technology in Obermeyer Mens Ski Jackets Work? Obermeyer's Hydroblock technology in its men's ski jackets works in a number of different ways. It's a nylon/polyester blend with varying levels of flexibility and insulation that help with warmth, mobility, and comfort when active. Many Obermeyer ski jackets also have other innovative features like PrimaLoft insulation, another Obermeyer invention, which provides a high warmth-to-weight ratio and is said to be some of the most lightweight winter gear on the market. You may benefit from "Ski Critical" seam sealing to prevent leaks, low-visibility reflectors for safety, hand-warmer pockets, ventilation features. and even an electronics charging pocket with wiring. 4. Where Can I Buy One? Many sporting and outdoor equipment stores carry Obermeyer ski Jackets. They can also be found online at Amazon, which may be the most convenient option for most of our readers. 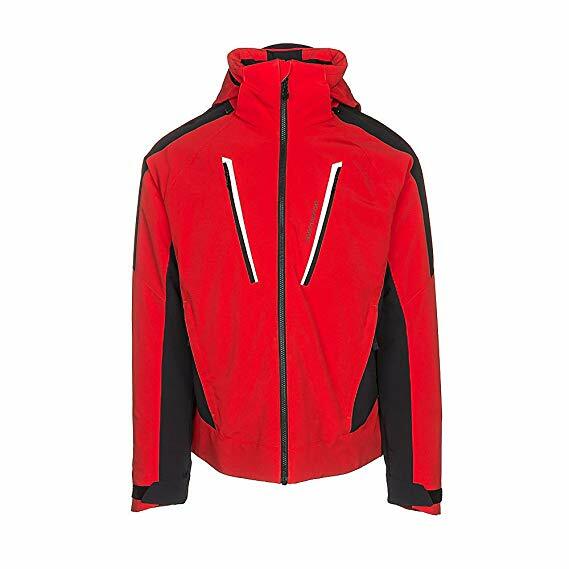 We looked at a number of features to compile our list of the top 6 Obermeyer mens ski jackets. 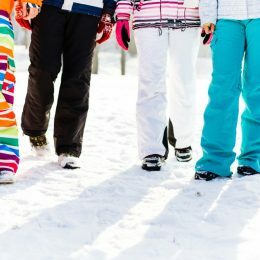 While we did include pros and cons for each product, we were more interested in how the features of each of the 6 jackets would work for different types of skiing and winter activities. Each of these jackets has Obermeyer's innovative fabric and insulation technologies, so the differences come down to levels. For example, how much insulation is in each jacket? What types of weather and activities are they best for, and are they safe in the dark? 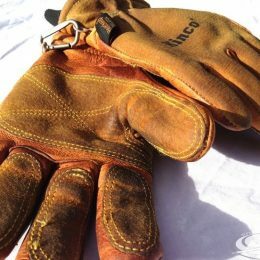 With Obermeyer's proven reputation, it really is less about "cons" and more about which product suits which winter situations and user preferences. Obermeyer ski jackets are generally in the moderate-to-high price range for the category, so we tried to cover the spread a bit when it comes to our top picks. 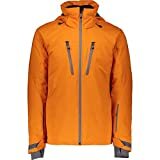 Certain Obermeyer ski jackets can be found on Amazon for around $$, and our picks were priced between $$ and $$. These prices are comparable with other well-known brands like Columbia and North Face, Obermeyer tends to be on the leading edge of innovation, so the value of their products at the company's price points is still impressive. The Supernova Shell is probably the most lightweight of the Obermeyer ski jackets because, as the name indicates, it's shell only. 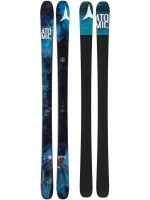 This means the Supernova Shell is great for skiing in California or other places where it's generally warmer, or during your spring ski season. Just because it's a shell, however, consumers shouldn't think the Supernova isn't loaded with features. 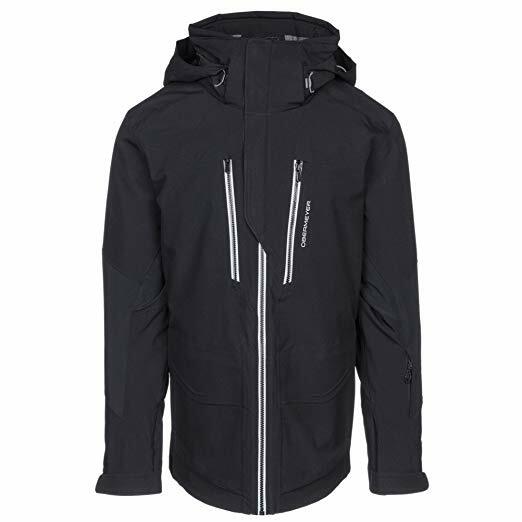 It has both Obermeyer's patented HydroBlock and seam-sealing technologies, and it is tested for 30,000mm waterproofing, making it one of the most waterproof jackets Obermeyer markets. The Supernova is also extremely breathable, with another Obermeyer innovation called CZV or Control Zone Ventilation, a removable powder skirt, and a hood. It's also equipped with a RECCO rescue reflector for safety in low visibility. We also loved the ultra-waterproof interior pocket. All Obermeyer mens ski jackets are covered by a limited lifetime warranty. 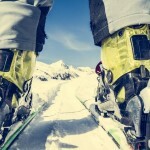 As its name suggests, the Obermeyer Foundation is where Obermeyer begins with its ski jacket line. 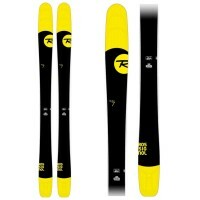 The Foundation is loaded with features and is a good all-around ski jacket for moderate conditions. While the Foundation has HydroBlock technology just like the rest of the jackets on this list, it is only rated for moderate waterproofing up to 15,000mm. That said, its warmth rating is among Obermeyer's highest. With a removable fleece collar, an interior wind guard with fleece chin protector, a removable two-way draw-cord hood, Tricot-lined hand pockets, Skier Critical seam sealing, and Obermeyer's highest level of insulation, the Foundation is meant to withstand extreme cold and wind. The Obermeyer Foundation is also designed to make sure movement isn't restricted during activity. 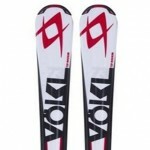 It sports Ski Contour articulated sleeves as well as a removable, integrated powder skirt and stretch-style inner thumbhole cuffs. Just like the other jackets on our list, the Foundation has CZV ventilation technology and reflectors, as well as an electronics pocket and goggle pocket lined with scratch-free cloth. For extra safety, it also has a multi-function neck gaiter that can be stowed on the jacket. All Obermeyer Mens Ski Jackets are covered by a limited lifetime warranty. For details, You can visit https://www.obermeyer.com/customer-service/warranty. 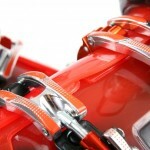 May have a few too many bells and whistles for the average skier. The Obermeyer Trilogy jacket has all the features of the Foundation, and it adds the benefit of a zip-out shell/liner system. 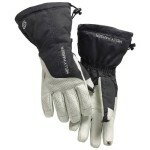 This means it can be used as a shell, a fleece, or a fully insulated, cold-weather ski jacket. Obermeyer names the Trilogy as their pro piece, and it makes sense given all the features. The Trilogy isn't quite as warm as the Foundation due to the zip-out fleece, but it's still able to withstand very cold temperatures. It also has a fleece-lined collar, Tricot-lined hand pockets, a removable hood with double drawstrings, and an integrated, removable powder skirt. It also seems to have better ventilation than the Foundation due to its gusseted cuffs and a custom lining for added breathability. It has a mesh goggle pocket as well as a ported electronics pocket and CZV. 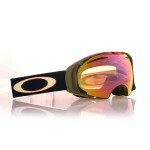 Trilogy is a solid, versatile option for skiers who venture into lots of different climate conditions. The Obermeyer Kodiak jacket seems to cover the best of both worlds for waterproofing and breathability. Like the Supernova shell, the Kodiak has a high percentage of HydroBlock and is rated for heavy rains up to 20,000mm. Its ventilation features are also highly rated, with CZV throughout and ventilated gussets. 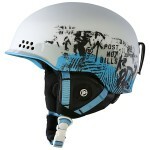 It also has an interior wind guard with a chin protector and fleece-lined collar. The Kodiak has articulated arms as well as Full-Motion Fusion fit, which makes it easy to move in. It's an ideal snowboarding jacket as well, due in part to the multi-function neck gaiter and helmet-compatible, removable hood. 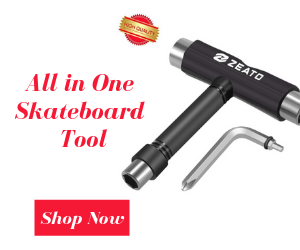 Like the Foundation, it has scratch-resistant cloth in the goggle pocket, an electronics pocket with port and insulated wiring, and a RECCO reflector for high visibility. All Obermeyer Mens Ski Jackets are covered by a limited lifetime warranty. For details, we invite you to visit https://www.obermeyer.com/customer-service/warranty. The Obermeyer Mens Raze is another great all-around choice with all the features that make Obermeyer jackets so desirable across the board. The Raze is meant to be very lightweight, but it doesn't skimp on warmth, ventilation, or waterproofing. Perhaps not as suited to extreme weather as the Foundation or Trilogy, the Raze is still a great option for speed and reduction of drag because it's so lightweight and well fitted. 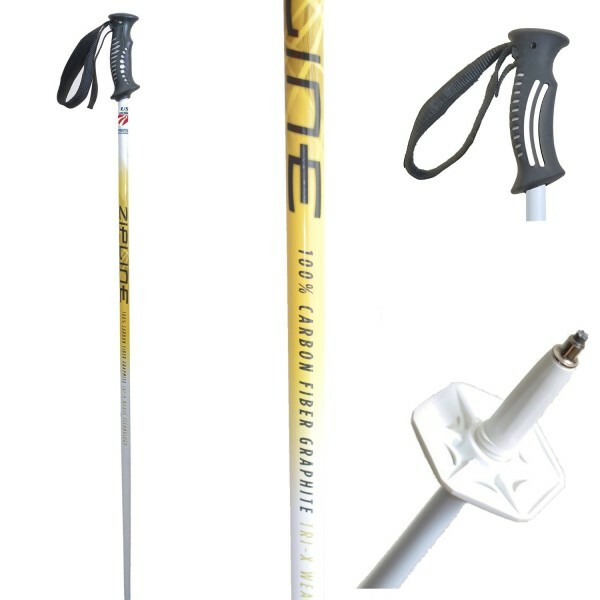 The Raze features HydroBlock up to 15,000mm for waterproofing and incorporates Skier Critical seam sealing. It has a built-in windscreen and chin guard, a removable powder skirt, a two-cord drawstring hood, and Tricot-lined hand-warmer pockets. The articulated sleeves allow an excellent range of movement, while the gusseted cuffs with stretch thumbholes enhance comfort. 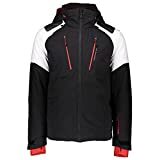 While all Obermeyer mens ski jackets have YKK AquaGuard zippers, the Raze also has coil pockets that use that same technology to protect the skier's gear. 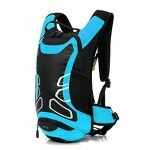 In terms of storage, it has the same goggle pocket and scratch-free cloth and ported electronics pocket as several other models, but it also has a zippered arm pocket and an internal accessory ring. 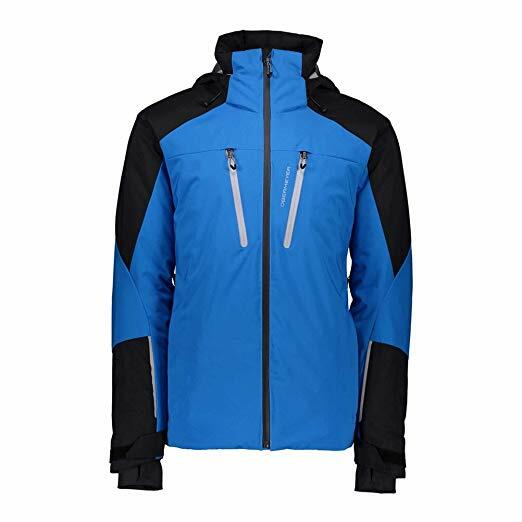 This jacket is great for the skier who likes to bring a lot of gear or any avid winter hiker. 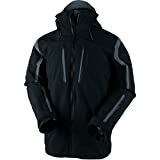 The Obermeyer Charger is our last inclusion on this list of the top Obermeyer ski jackets, but it certainly does not offer nor deliver the least. With maximum ratings in both waterproofing and breathability, it should never feel uncomfortable or have problems drying out for you. The Charger has a special type of insulating technology called PrimaLoft Black, which is light in weight but absorbs heat and keeps it close to the core. The Charger is a safe bet in low visibility, too, because it has a RECCO reflector, a multifunctional neck gaiter, and a helmet-compatible hood. The Charger's waterproofing capabilities with HydroLock are rated up to 25,000mm and it also has adjustable sleeves, so it is only second to the Supernova in terms of overall water protection. The Charger also has an arm-positioned zip pocket, zip chest pockets, and a removable scratch guard cloth in the goggle pocket, as well as the ported electronics pocket we like so much. Obermeyer ski jackets are truly the gold standard when it comes to winter sports, and they have been earning customers' loyalty since 1950. 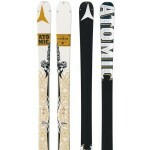 Whichever of these models a skier picks will enhance the skiing experience and maintain its quality for years to come. 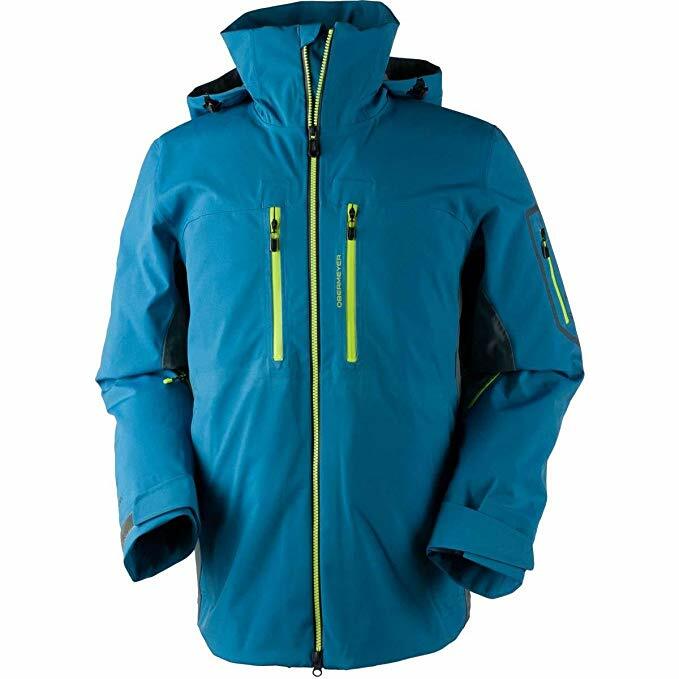 While there are a few differences in our top picks, this side-by-side comparison review is meant to help winter sports enthusiasts make informed jacket buying decisions for the 2019 season. Time to hit the slopes!